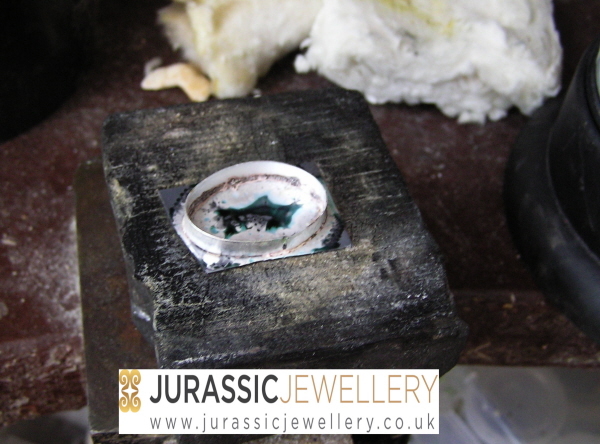 This is a super little commission that will soon become a regular piece when I can source suitable dinosaur bone cabochons. 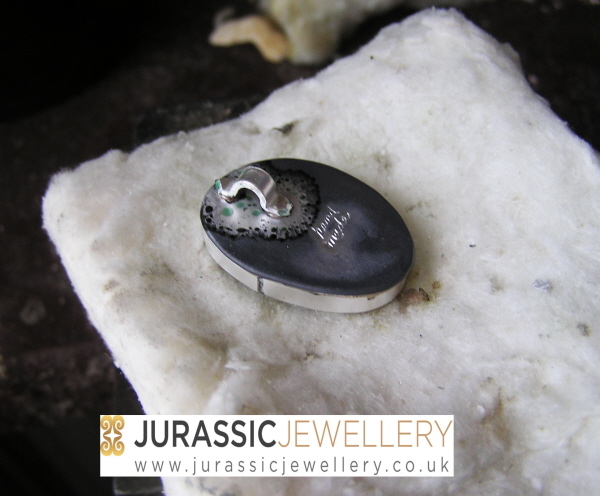 This is a commissioned piece and consists of a piece of USA Dinosaur bone set in it's own custom made sterling silver setting. 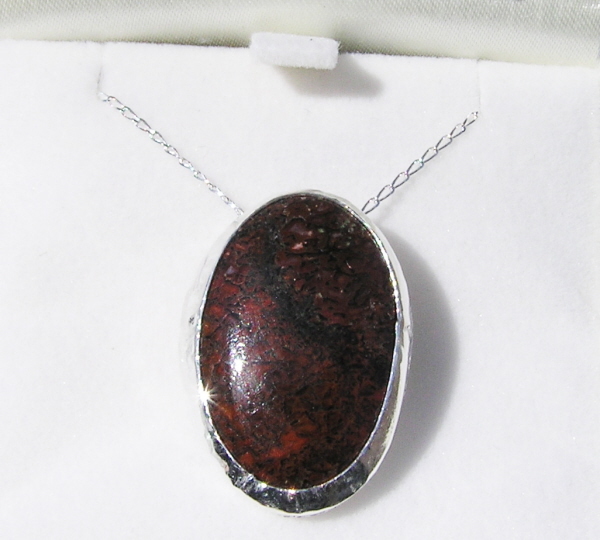 The setting is then strung from an 18 inch sterling silver chain and really is a unique piece of jewellery!